This level of sensitivity is in line with the safety limit requirements in Singapore that falls within the World Health Organisation’s standards. For instance, the device can detect lead levels of 5 parts per billion, which is lower than the 10 parts per billion limit stipulated by the Environmental Public Health Act in Singapore. 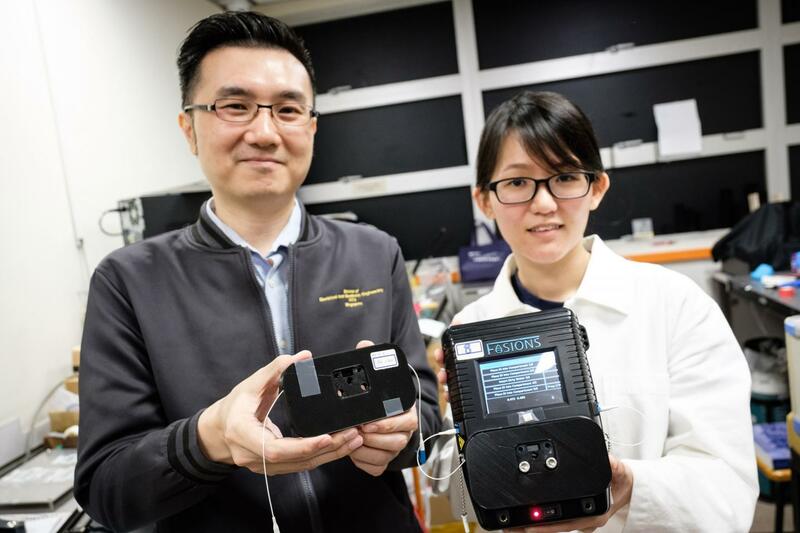 Assoc Prof Yong Ken-Tye, holder of the NTU Provost’s Chair in Electrical and Electronic Engineering, said, “Our device is capable of conducting on-site water quality tests quickly and can detect up to 24 types of metal contaminants, which is double the capacity of other commercially available water sensors. In a water sample contaminated by heavy metals, the metal ions will bind to the chelating agent on the optical fibre sensor. This induces a shift in the output light spectrum, from which the device’s processing unit then calculates the concentration of heavy metals in the sample. The process takes about five minutes. The research project was supported by NTU’s Nanyang Environment and Water Research Institute (NEWRI), and NTUitive, NTU’s innovation and enterprise company.